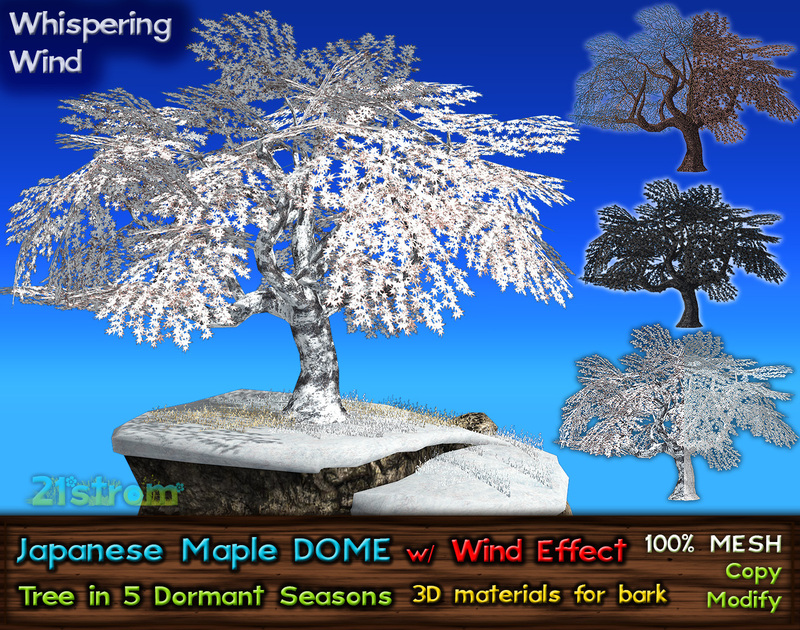 Set of very detailed Japanese Maple trees with Whispering Wind – smooth wind animation of foliage. 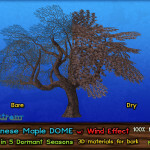 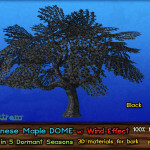 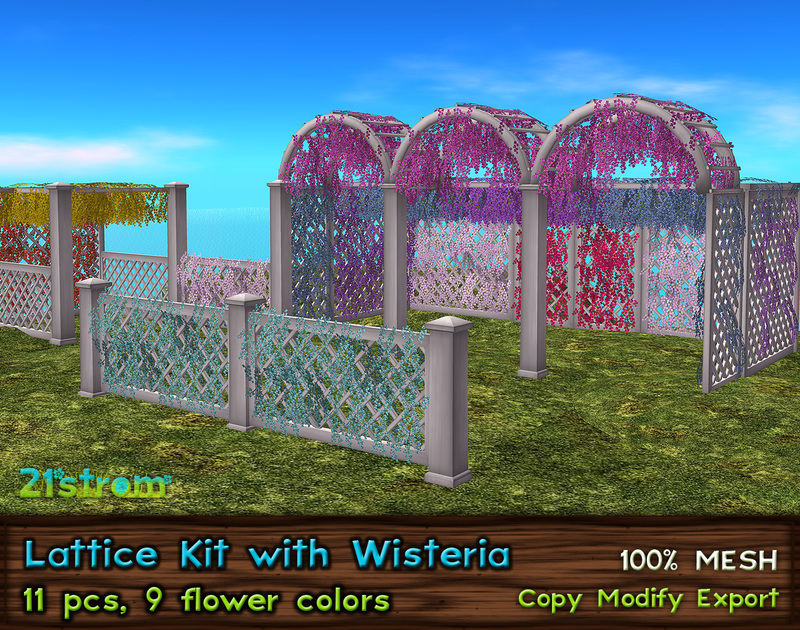 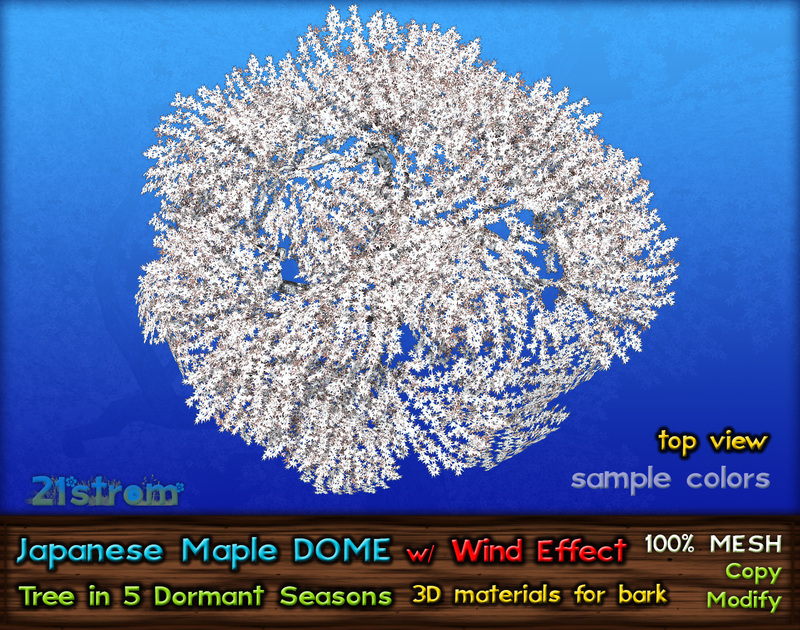 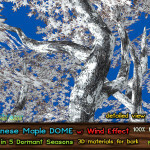 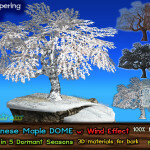 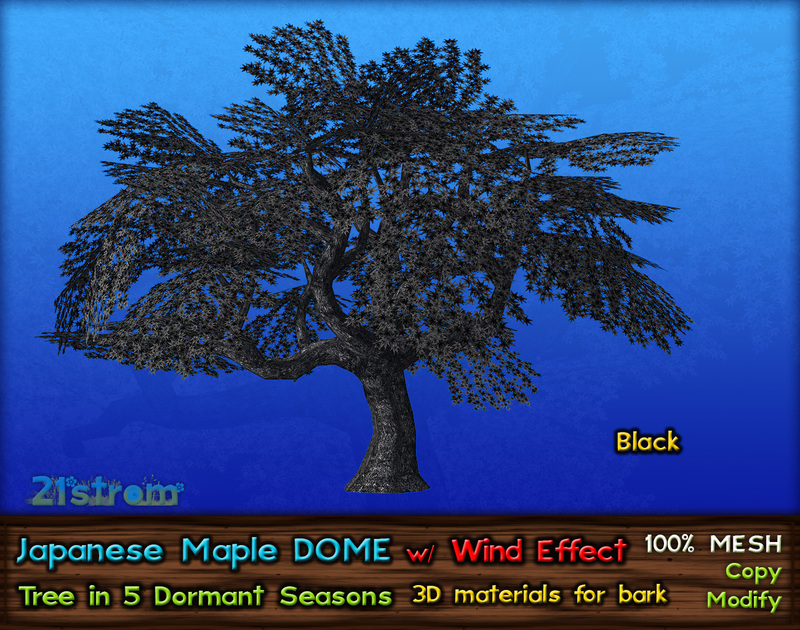 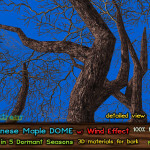 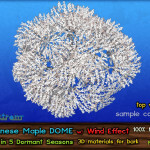 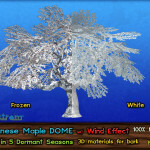 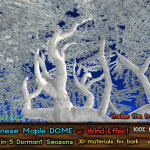 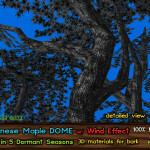 Dormant Seasons set includes Japanese Maple in Dome variation in 5 seasonal colors, suitable for fall – autumn, Halloween, spooky forests, winter, Christmas and fantasy decorations, garden and park. 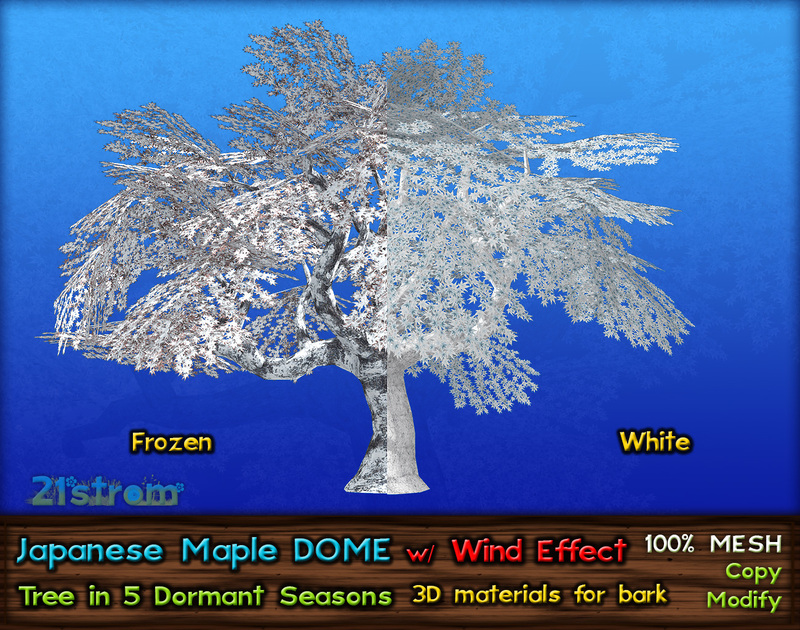 Dome variation has plenty of room inside the treetop, it is perfect space for your hideaway. 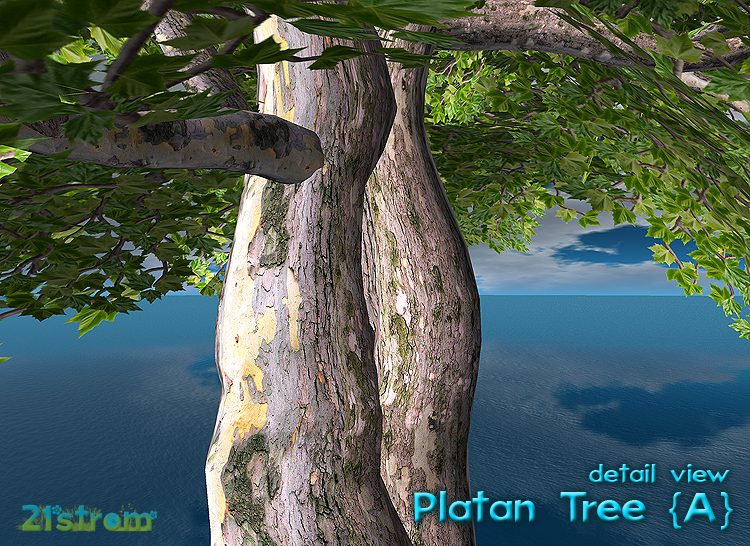 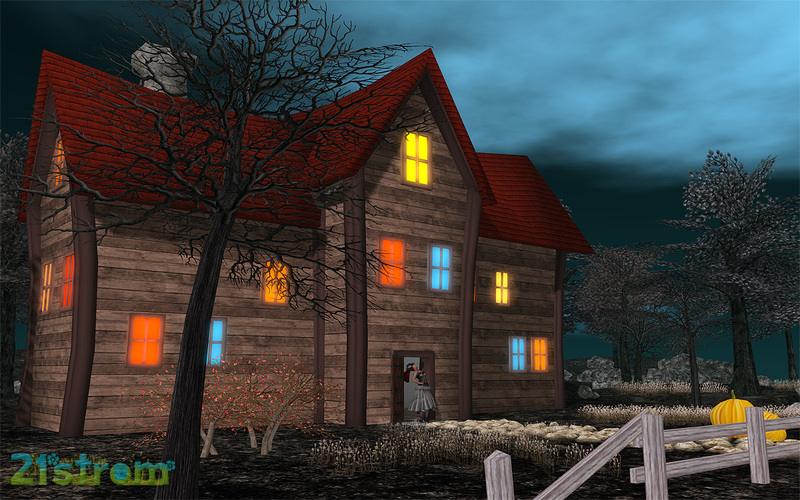 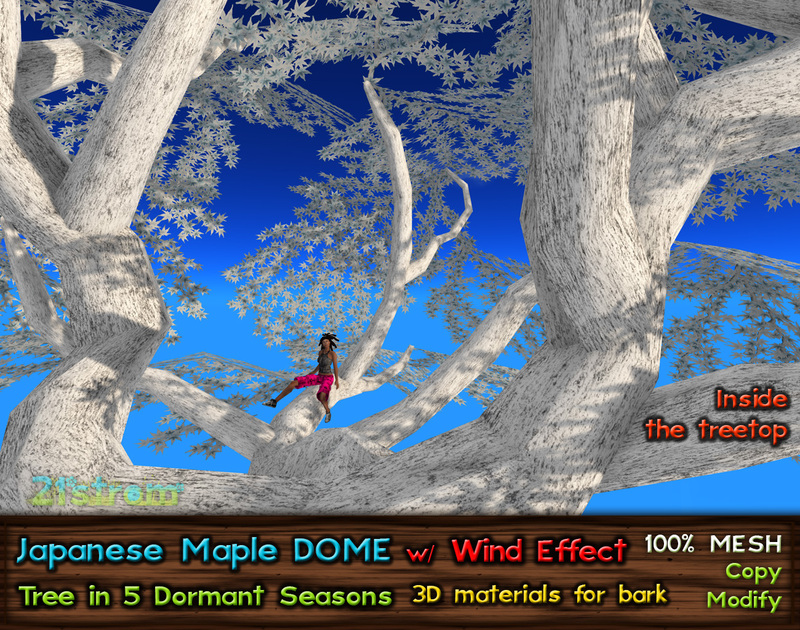 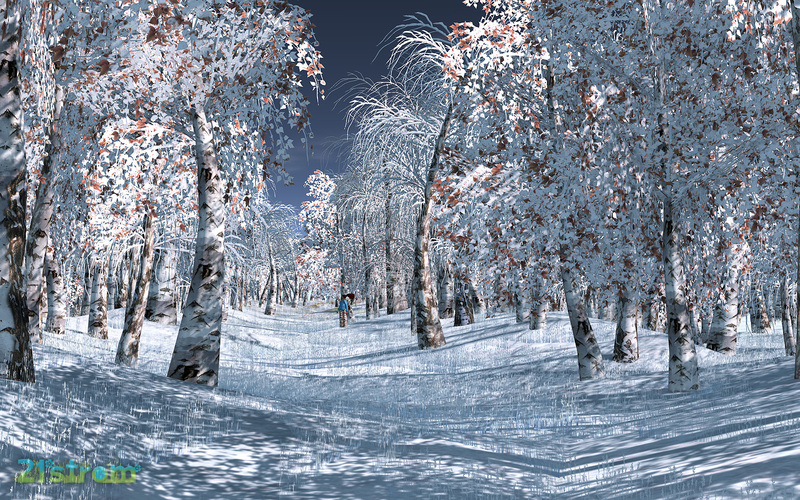 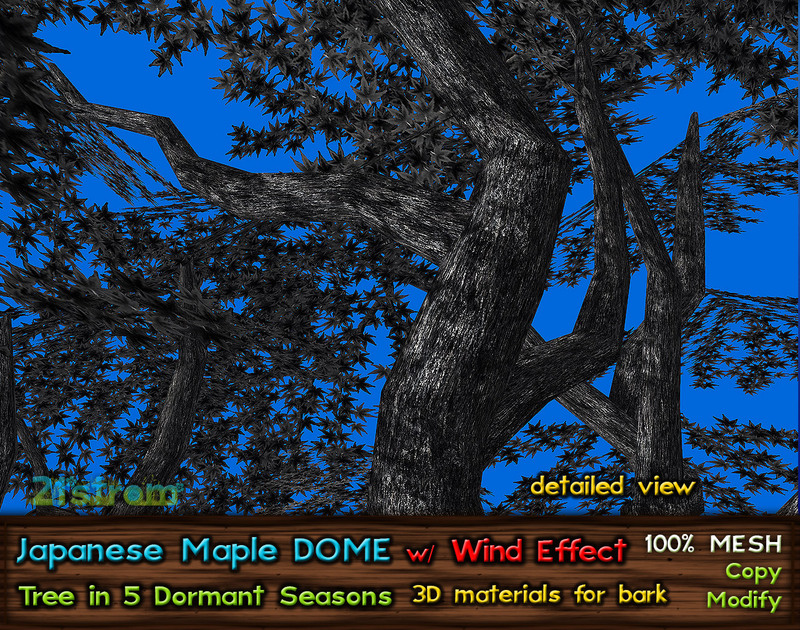 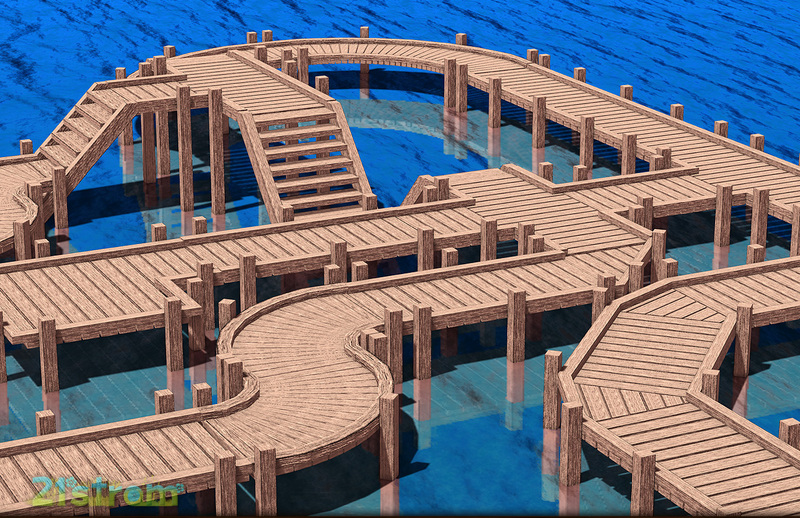 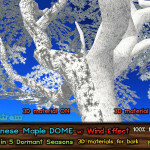 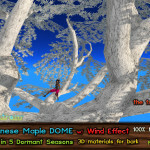 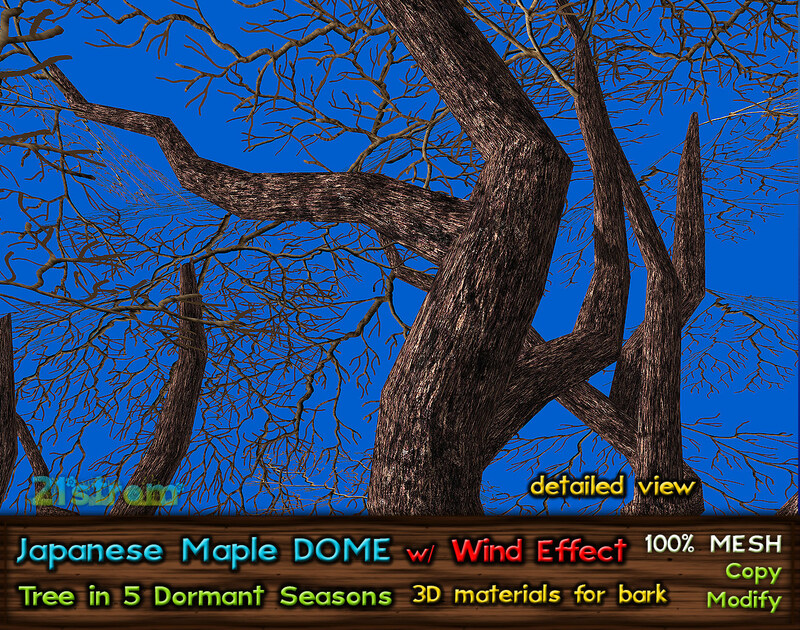 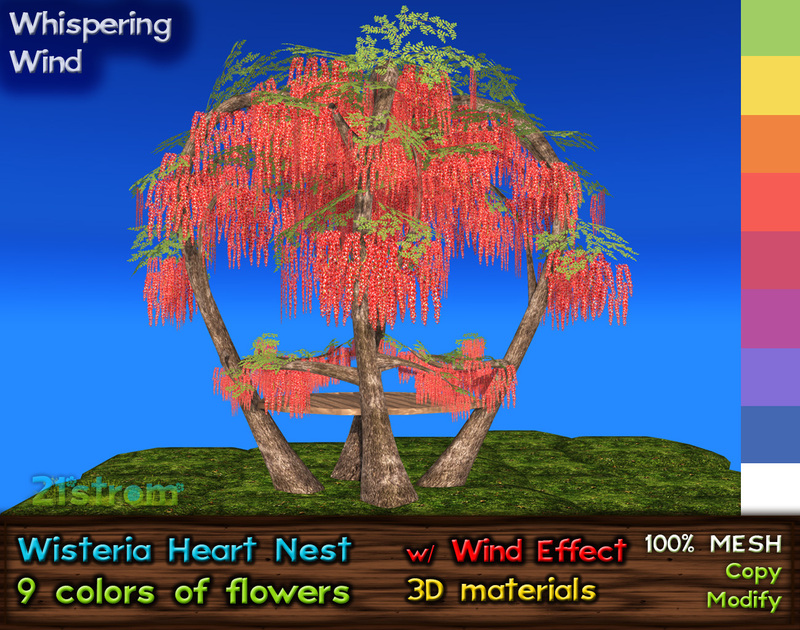 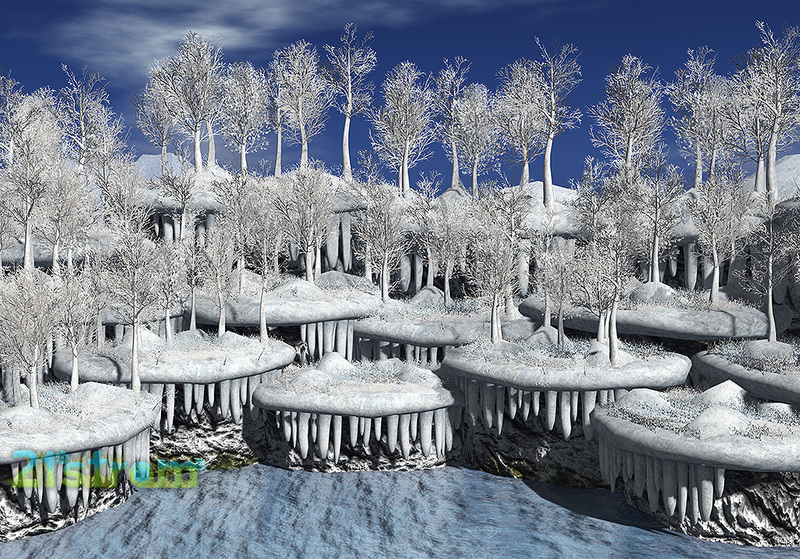 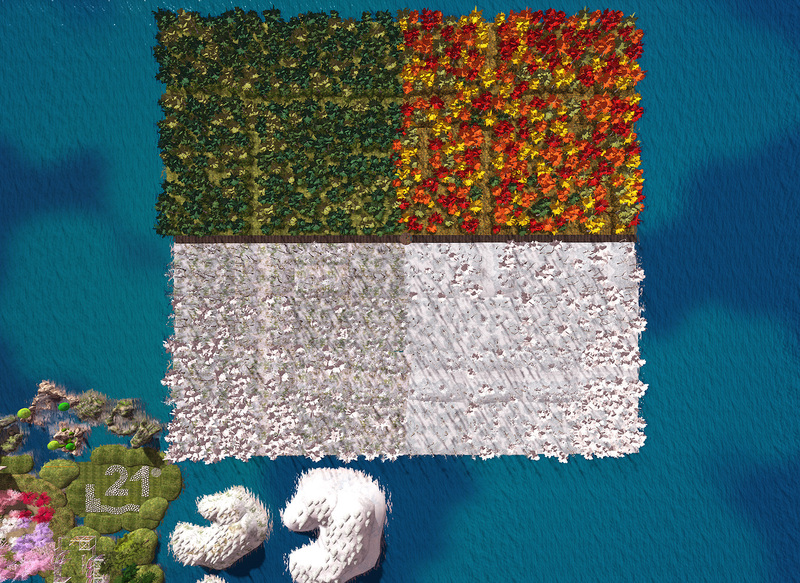 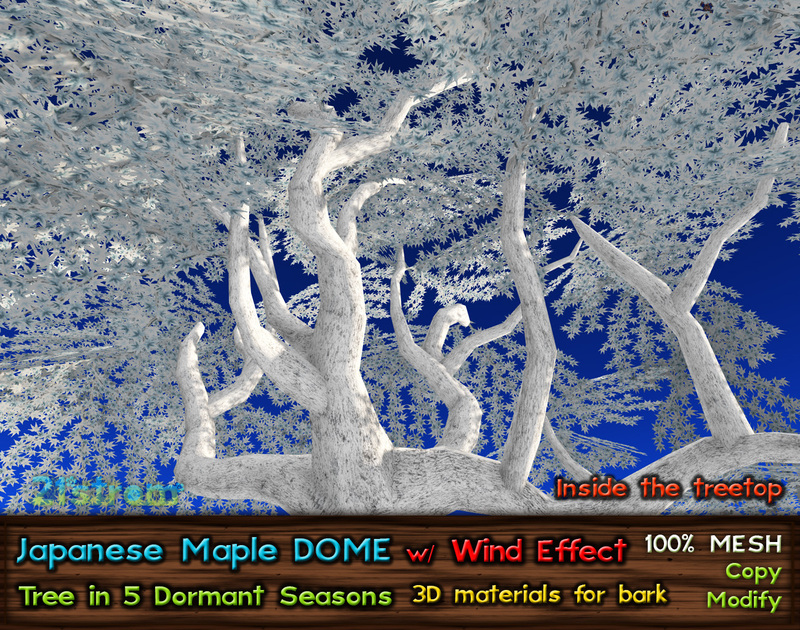 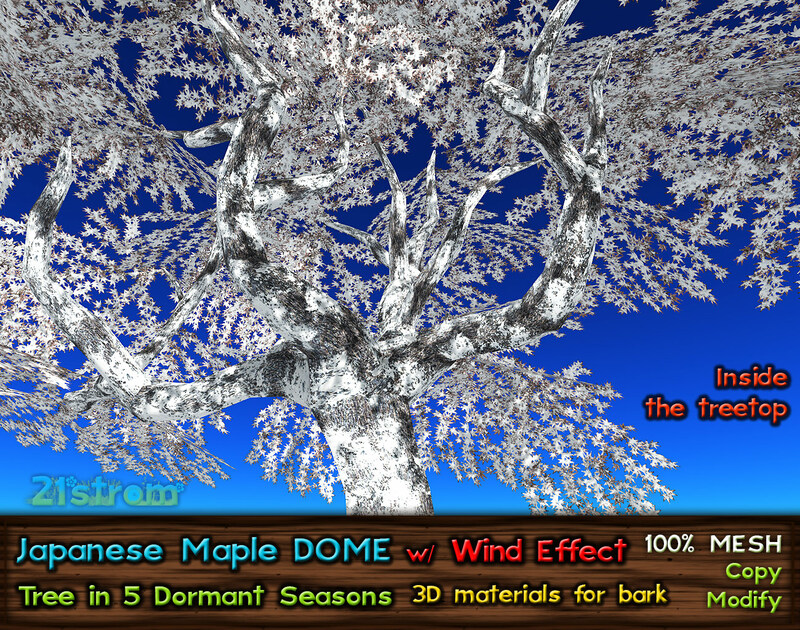 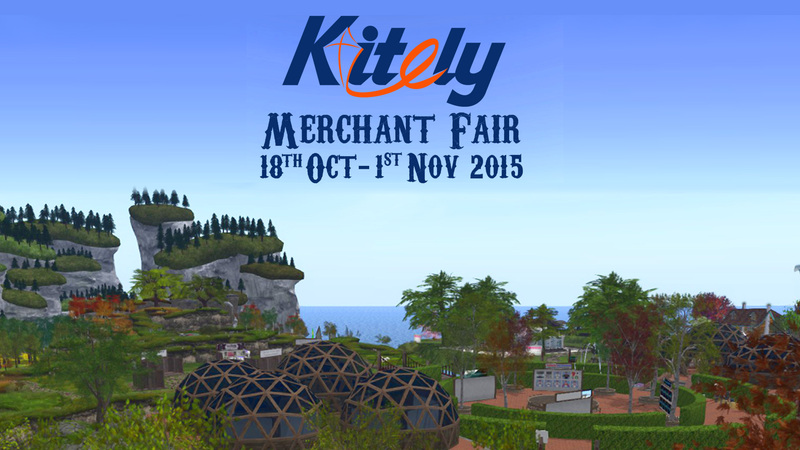 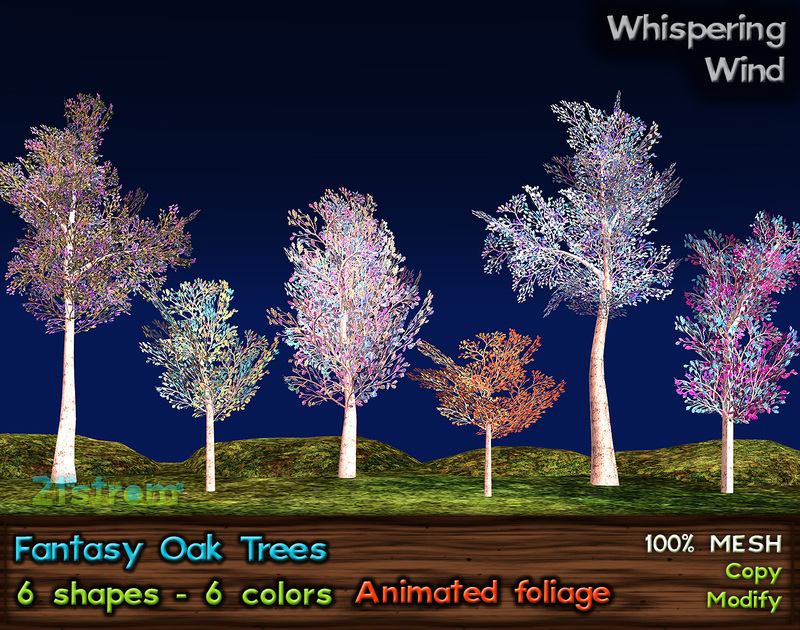 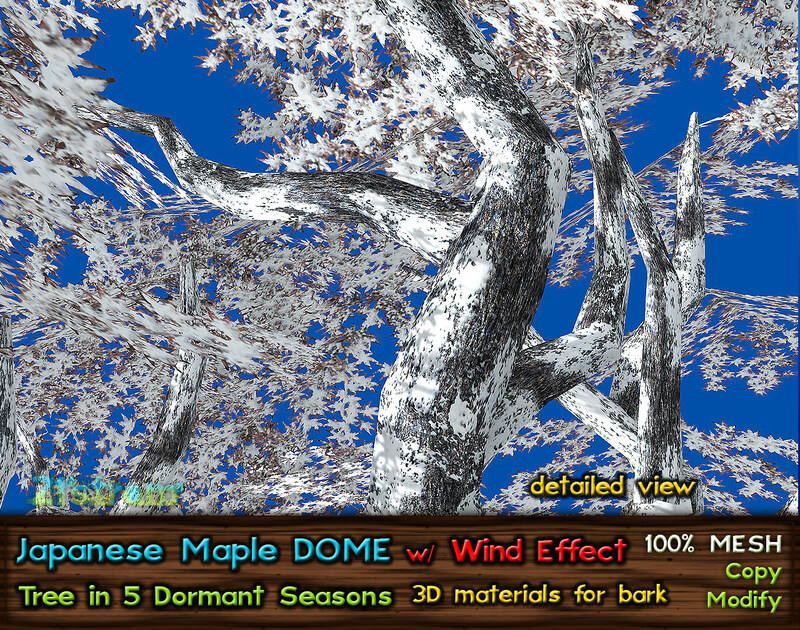 Whispering Wind is a smooth wind animation of foliage, which makes trees more realistic. 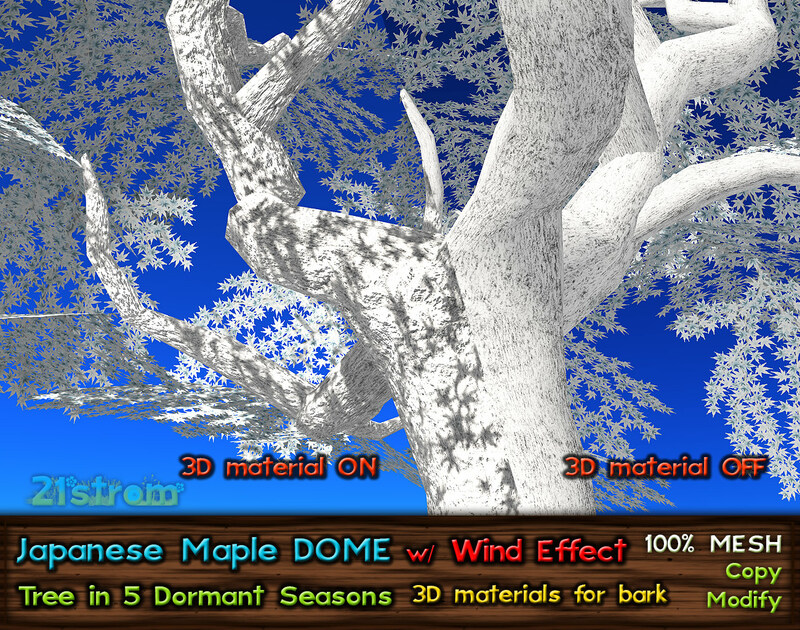 Animation could be turned off by included script. 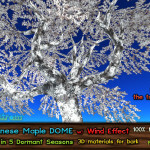 Reset tree and animation will turn on again. 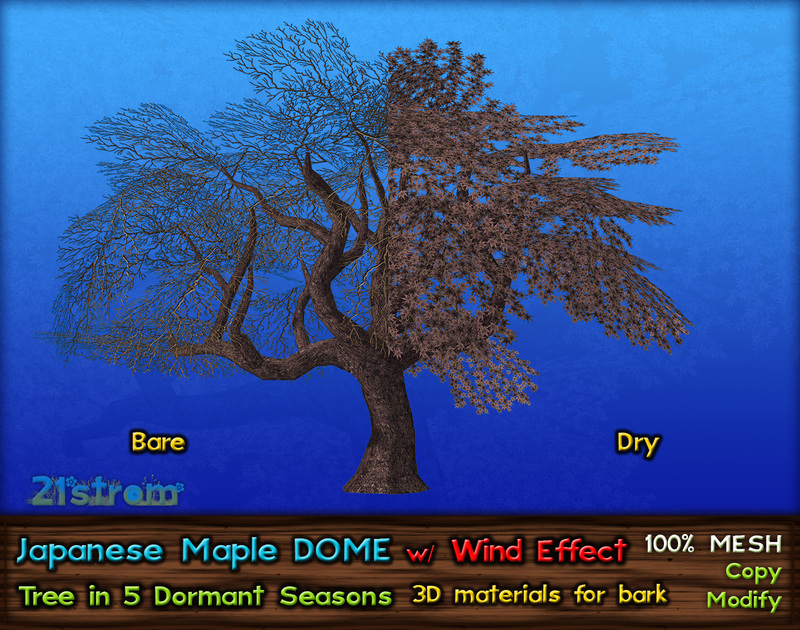 Japanese maple trees in color seasons in previous blog post.